When hair is lost as part of the balding process, there remains a certain amount of residual hair at the back of the scalp. This residual hair is not susceptible to the hair loss process and is therefore resistant. It is what we would call ‘privileged' hair. The aim of hair transplantation is to repopulate the thinning frontal or crown hair by ‘filling in the gaps’ with this privileged hair taken from the back of the scalp. The residual hair present on the top of the scalp is however still susceptible to the balding process. Its physiology is unaffected by the transplantation process. So, while the transplanted hair is permanent, the non-transplanted hair is still susceptible to falling out as it would naturally do. 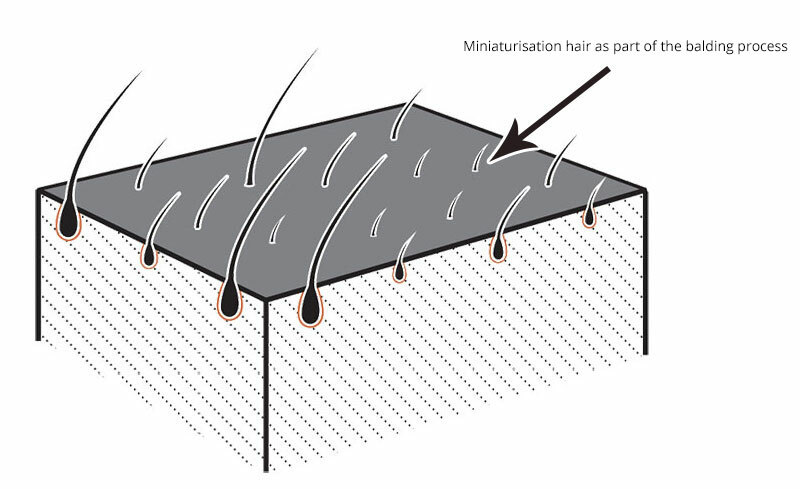 One of the technical aspects that goes into the making of an exceptional hair-transplantation team is knowing where to place the replanted hair so that there is no noticeable hair-line (of transplanted hair) as further hair-loss takes place. Our hair transplantation designer has more than 20-years of experience in this area and Paradigm patients can be assured they will be getting a world-leading level of expertise. Patients will be given all the information they need to understand the process. There is also the option of taking medication to prolong the life of the non-transplanted hair and this can be discussed at the clinic. At consultation/design consultation, Paradigm patients will have the opportunity to decide what type of hair line design is optimal for them, taking into consideration the multiple individual factors that are important to you personally.